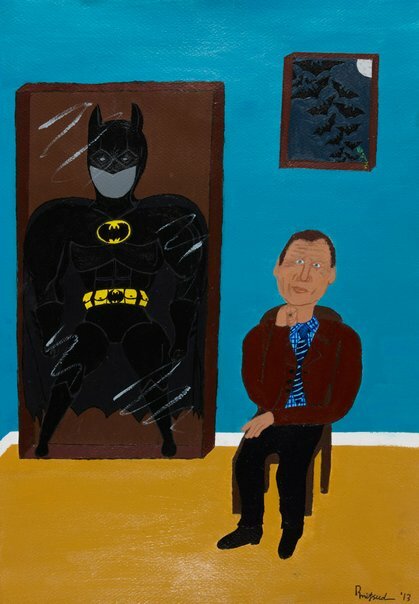 I chose to portray my uncle Frank beside a Batman suit as it symbolises the two things I love: family and fantasy. Like Batman, my uncle is brave, believes firmly in justice and is a strong role model. My uncle Frank and Batman share many things like their morals and beliefs and that is why I chose to depict them both in my artwork.